Dhigufinolhu Island in the South Malé Atoll, is Anantara Dhigu Resort & Spa, comprising of some of the most spacious luxury villas in Maldives, some with private plunge pools and just a 35 minute speedboat ride from Malé International Airport. The tropical lagoon setting creates a Maldivian paradise of breathtaking natural wonders, where the warmest heartfelt welcome leads to journeys that can be deeply relaxing or truly invigorating. From the moment you arrive, peer into the crystal waters below the jetty of our Maldives resort at puffer fish, sting rays and baby reef sharks. Take part in an array of water sports including diving, snorkelling, surfing and island hopping. Photo copyright Anantara Dighu Resort & Spa. Video copyright Anantara Dighu Resort. 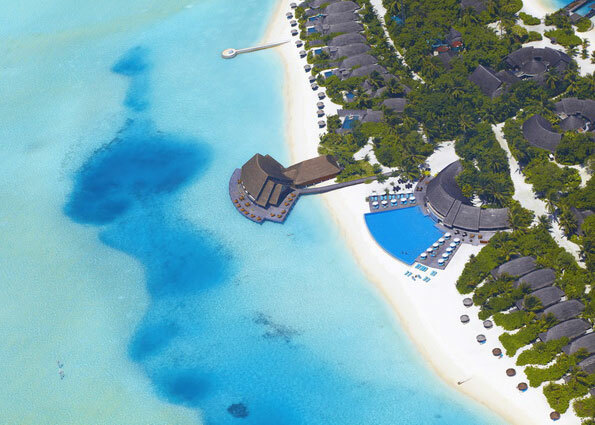 Anantara Dhigu Resort & Spa, only a 30 minute speedboat ride the airport, is a tropical paradise. Accommodations are in Overwater Suites and Beachfront Villas and guests have full access to sister resort Anantara Veli. This along with fantastic bars and restaurant options, spa services, scuba diving & snorkeling, and excursion opportunities make this resort a great option for honeymooners.